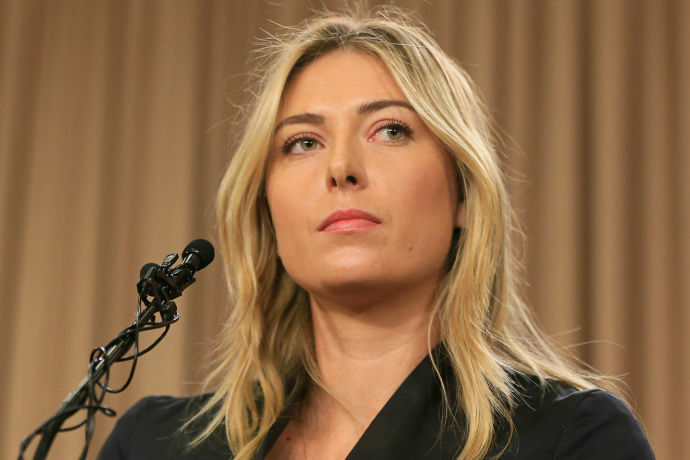 Please read the following sentence from a BBC report on Maria Sharapova's failed drug test:"The Russian, 28, tested positive for meldonium, a substance she has been using since 2006.'' All journalistic protocols observed – nationality, age, much like when you fill out your father's name or mother's maiden name - markers which establish correct identity. But the BBC in the next sentence mounts a defence: “a substance she has been using since 2006''. At that point that is NOT the story. The story is simply that the First Lady of tennis, OFF the court, the epitome of feminine grace, elegance and appeal has been caught out. There is a whole different side to this episode; make no mistake about it. A five time Grand Slam winner is now a grand slam loser. You cannot un-ring a bell and she has been caught out. By her own admission she 'made a mistake'. In professional sport, that is the equivalent of a completely drunk driver pleading guilty to wrecking three other cars and asking for a reprimand. She broke the golden rule of 'thou shall not get get caught.' The number one caveat is also that the athlete is responsible for what goes into her body - not the doctor, coach nor trainer. What is crystal clear is that there are rules for first world kings and queens of sport different from others countries. She was the one who broke the news following a carefully built up media campaign: "Maria Sharapova to make a major announcement''; which gave rise to all types of speculation - marriage, retirement, pregnancy? Then a suitably contrite and apologetic crestfallen and demurely dressed Sharapova makes an announcement that otherwise would have come from the tennis federation or have been leaked in the English or German press. The entire process has been managed by her team which has served aces on this one; much like Lance Armstrong who was a media magnet and hung out with celebrities in Hollywood while ingesting all the banned substances to fight cancer of the scrotum. Few testicles in sport have ever had it so good eh! Now Maria has really messed up the curve. She, the antithesis of 'herculean, sinewy and burly' Serena Williams, has disgraced centre court. The Mother Theresa of lawn tennis stopped for some beers on the way home and hit a lamp post; and we all know that the lamp post jumped in front of the moving car. Maybe Jack Warner should have been a tennis player.